Industrial Strength* hypoallergenic titanium 3mm and 5mm screw-in disks. 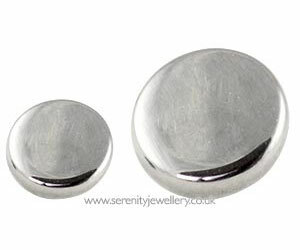 PLEASE NOTE this item is the screw-in top or back only not a complete labret. 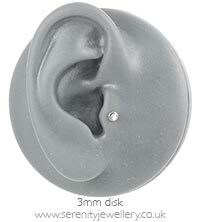 These disks can be used with Industrial Strength titanium labret posts but will not fit any other brand. 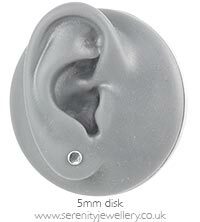 PLEASE NOTE this item is the screw-in top/back only not a complete labret. I bought these as tragus jewellery and they are absolutely perfect. Smooth, really well finished and the threading fits perfectly into the post. Much higher quality than the generic jewellery available, and totally worth the slightly higher cost.